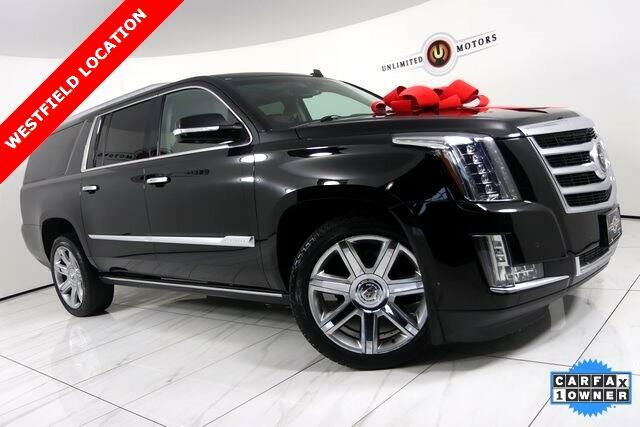 Navigation, Back Up Camera, Bluetooth, Sun/Moon Roof, Towing, Power Running Boards, Heated Seats, Luggage Rack, 3rd Row, Entertainment, Escalade ESV Premium, 4D Sport Utility, Vortec 6.2L V8 SIDI, 6-Speed Automatic Electronic, 4WD. CARFAX One-Owner. Priced below KBB Fair Purchase Price! Odometer is 29472 miles below market average!